This Coleman or similar tent sleeps 4 happy campers and includes a large door for easy entry and exit. With a hooded fly to provide ventilation even in rain. 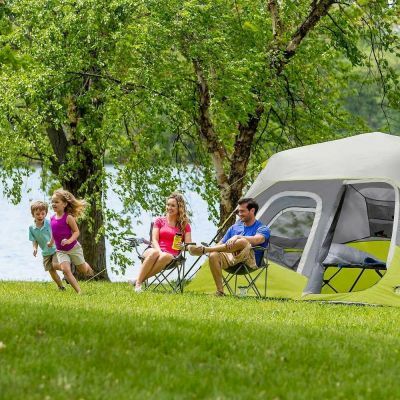 This tent sleeps 6 happy campers and includes a large door for easy entry and exit. With a hooded fly to provide ventilation even in rain. 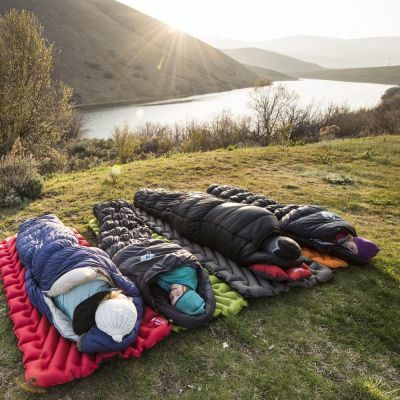 Eco insulation for an efficient warmth-to-weight ratio that's also highly compressible. The full-length zippers on each side can be unzipped to allow the bag to lay flat. 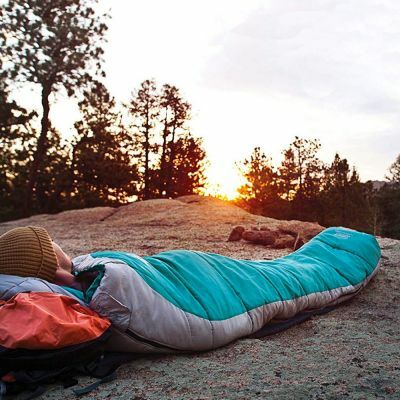 This inflatable sleeping pad rolls up so compactly you can carry it anywhere, even in a belt pack.